As an educator, I have always held a deep appreciation for a new or different perspective to understand an idea. I admit, when faced with a student who didn’t understand what was going on, I have repeated the exact same words I said a moment before (no doubt with more sarcasm than belongs in a classroom). I hope this was only at times when the student just wasn’t paying attention, because if the student didn’t understand something because of the way I explained it, they deserve an opportunity to hear it in a different way. Meet Dr. Seuss. That’s what I named this little boxwood. I spent a long day digging yew from a site that is about to go under construction. In all, eleven members of the Northern Virginia Bonsai Society came out to get their hands on some really fantastic material. While I have told many friends, and no doubt posted the news to social media long ago, I realize I have never made a notable, bonsai-related announcement here on Bonsai Iterate. I am now the president of the Northern Virginia Bonsai Society! Now I Know Why Pots are So Expensive. I love meeting people who are as tree and bonsai obsessed as myself, and today I got to spend a little time with a very new bonsai enthusiast. Victor came to the October 14 meeting of the NVBS and managed to win some plants in our raffle. 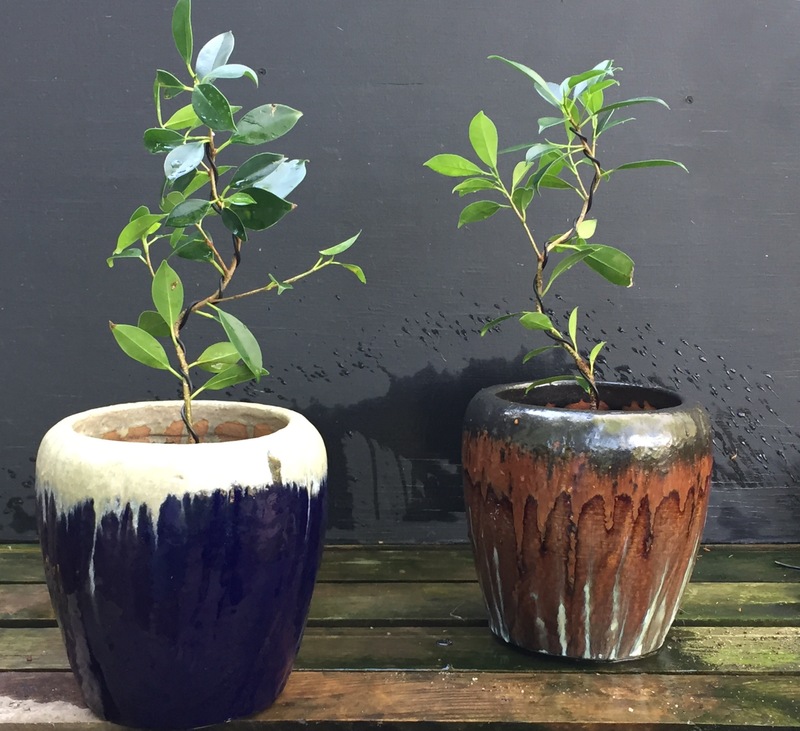 These two young Ficus were sharing the same tiny little pot and I was happy to help get them separated and into larger pots where they have room to grow and develop into future bonsai material. We talked a little about wiring and Victor gave it a go to put some movement and character into what were a couple of long arced stems.